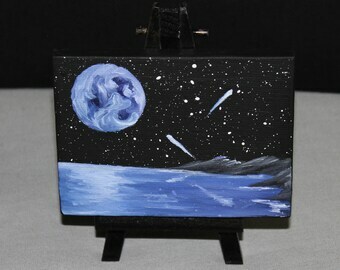 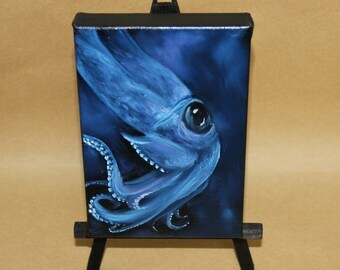 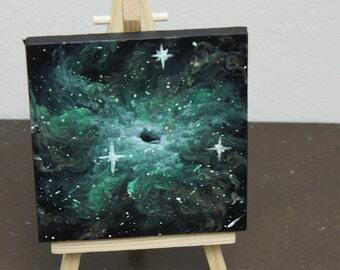 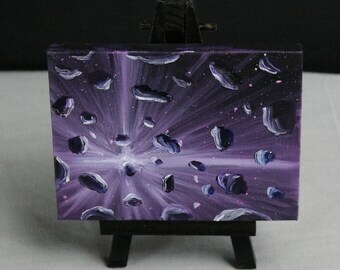 This listing is for both the miniature oil painting and the mini-easel. 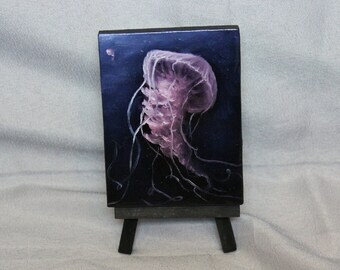 The mini-canvas is 3x4" and painted on the sides (and signed on the side). 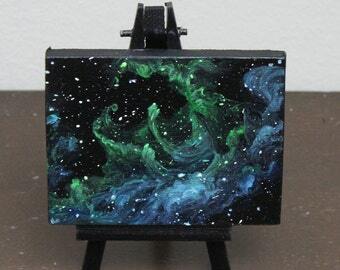 [Some pictures may show sides unpainted if the photo was taken immediately after painting was created.] 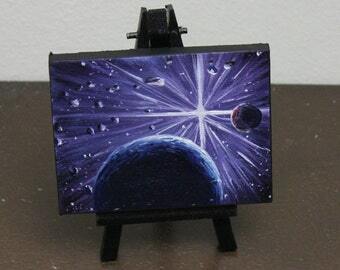 The easel is approximately 3x5" in size. 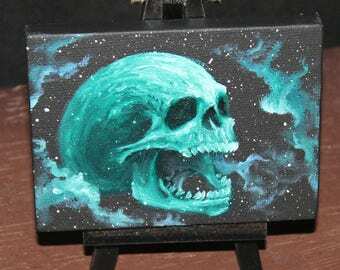 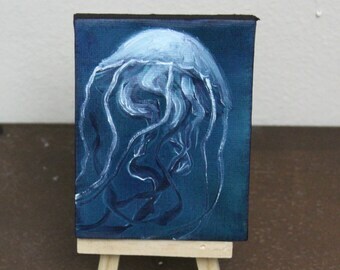 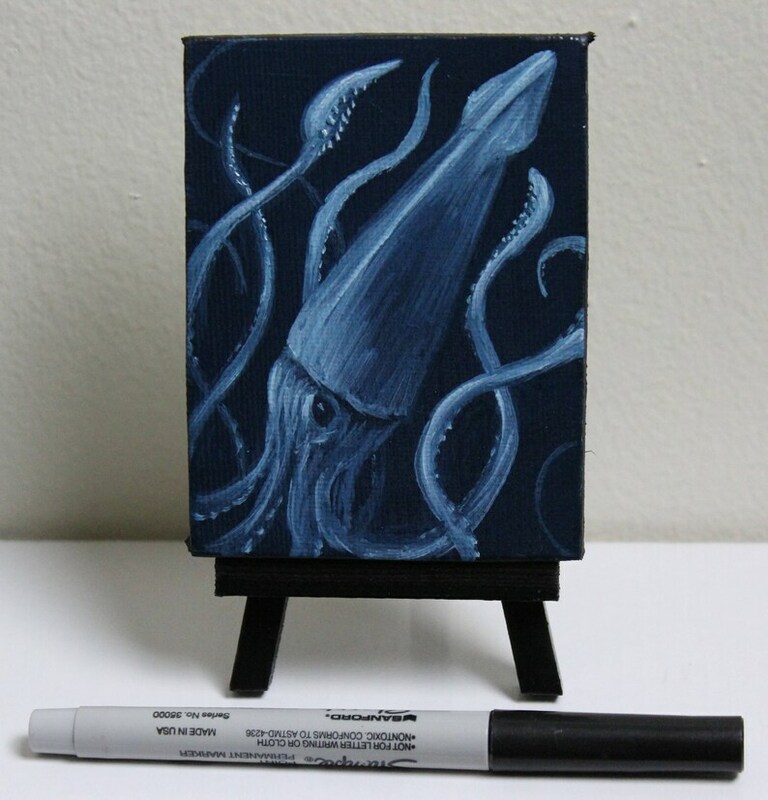 This painting was created in August 2017 as a part of a series of miniature seacreatures.